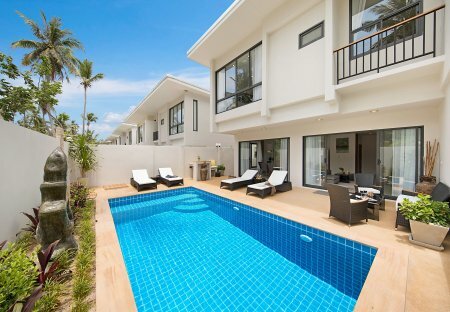 Rent villas and apartments in Choeng Mon, Koh Samui with private pools. Book affordable holiday rentals that are near a beach and golf course. A perfect and sumptuously-equipped exclusive villa, offering lush tropical gardens and a relaxing al fresco lounge area overlooking the private swimming pool. 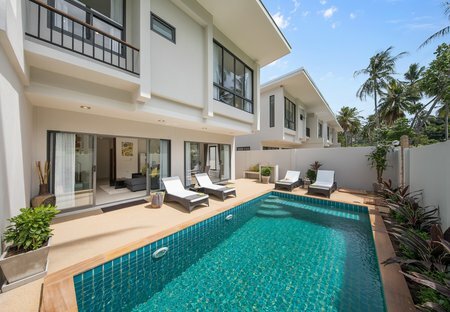 Stunning, idyllic, well-equipped two storey villa. Private pool surrounded with exotic, tropical gardens. Very close to local amenities. Modern and comfortable studio, ideally situated for a calm quiet relaxing break, but within five minutes of numerous restaurants, cafes & bars. Overlooks beautiful pool and exotic tropical gardens.